George Mason University Professor Tyler Cowen‘s lecture on vigilantes got a bit too real this week when a man ran into his Law and Literature class and pepper sprayed him. Cowen reportedly ran into the hall with the intruder in pursuit but an off-duty officer (who happened to be in a class) caught the culprit. 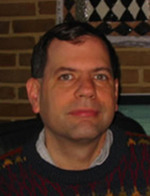 Cowen is a member of the economics faculty but also teaches Law and Economics and other courses at the law school. The intruder jumped the desk in the fourth floor classroom and sprayed Cowen in the face. Roughly a dozen people including Cowen were treated at the scene. One reporter has indicated that the intruder was a Mason student. Cowen is well known that this may be a case out of one of his books: What Price Fame? As long as our psychotic government keeps throwing billions of dollars of taxpayer money at the pychosis called psychiatry, this could get worse and not better. Crazy story. Professor Turley better get a body guard at his classroom door! I trust we will be informed regarding this person school status – reason for criminal behavior – source of funding for education, if student – judicator for this crime. Makes one yearn for the 70’s when this guy would have merely streaked the classroom. George Mason’s Economics Department has a reputation for being free market and libertarian. Interesting: this story receives more attention on Prof. JT blog than the mudslides in Washington? Don’t worry Prof. JT. You’re not alone…..
Did you know that not a single, national tv station (including CNN or FoxNews) have been live at the scene, even though the body count continues to rise? I want to see the syllabus for his Law and Literature class. Which school is this being accredited by? And why is an off-duty cop taking the course? Inquiring minds want to know. more total nuttrery for no reason !! I am beginning to believe the ideas of cell phones frying brains or something in the food supply killing us slowly – this makes NO sense !! !